Question: When is the best time to dig into dessert? If your answer is "after dinner," you're too rigid. The best time to eat dessert is any time—as long as that dessert is healthy! 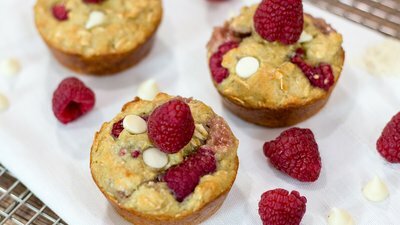 Rather than finish your day with it, start your morning with these delicious raspberry oatmeal bites. The fiber and protein are sure to help you stay full throughout the morning, while the touch of sweetness will tantalize your taste buds.